Game Day is just around the corner folks! You can download the flyers for the event here! Please refer to the flyers for more details. 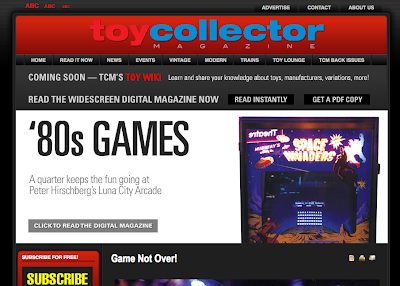 Toy Collector Magazine Article - "Game Not Over"
"A quarter keeps the fun going at Peter Hirschberg’s Luna City Arcade"
The August issue of Toy Collector Magazine has an interview with me about my arcade. Read the full article online here! Toy Collector Magazine - "Game Not Over"
The article says I've been collecting for 6 years which is totally wrong. I've been collecting for around 20 years.